DR are working in collaboration with XPO Logistics – are you looking for an extra income? 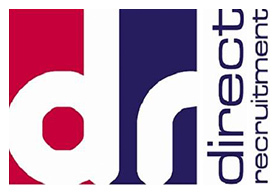 https://www.directrecruitment-uk.co.uk/wp-content/uploads/2018/12/direct_recruitment_xlg-1.jpg 0 0 DR Admin https://www.directrecruitment-uk.co.uk/wp-content/uploads/2018/12/direct_recruitment_xlg-1.jpg DR Admin2018-08-15 13:25:152018-08-15 13:25:40DR are working in collaboration with XPO Logistics - are you looking for an extra income? Did you know we’re working in partnership with XPO Logistics!!! Are you looking for an extra income to fit around work or extra studies? Could you do with the extra cash what with Christmas only just around the corner? If so, we have a number of opportunities to suit your individual needs! 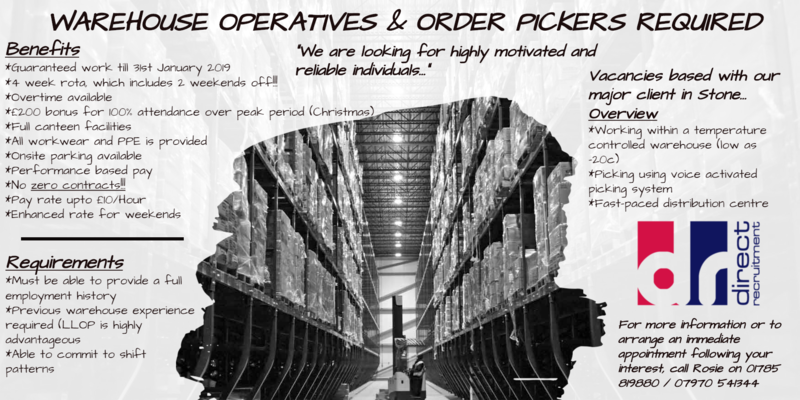 Direct Recruitment are working in close partnership with XPO Logistics, Stone for the supply of Order Pickers to work within their frozen goods distribution centre. These demanding yet varying positions offer excellent opportunities for self-motivated individuals who’re looking to join a well-established company. For more information or to arrange an immediate appointment following your interest, contact Chris Byrne on 01785 819880 / 07970 541344.
https://www.directrecruitment-uk.co.uk/wp-content/uploads/2018/12/direct_recruitment_xlg-1.jpg 0 0 DR Admin https://www.directrecruitment-uk.co.uk/wp-content/uploads/2018/12/direct_recruitment_xlg-1.jpg DR Admin2017-10-16 10:31:022017-10-16 10:44:14Did you know we're working in partnership with XPO Logistics!!! Due to their ever increasing order book Cox Long have asked Direct Recruitment to run a recruitment drive for a high volume of permanent production operatives to join their existing teams on both early and late shifts. We are going to be holding rounds of interviews at our offices with the opportunity for candidates to start immediately on permanent contracts. If you or anybody you know is interested in this, then either call Sue or Nicola on 01785 819880.